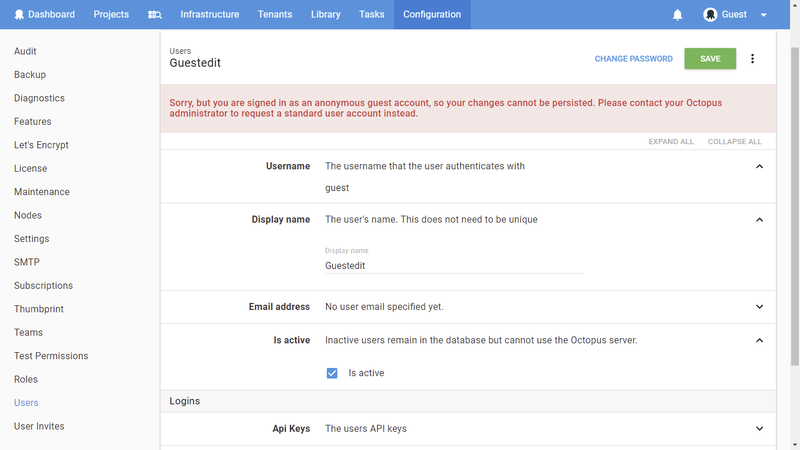 Sometimes you may wish to allow users to access your Octopus Server, without requiring them to create an account. 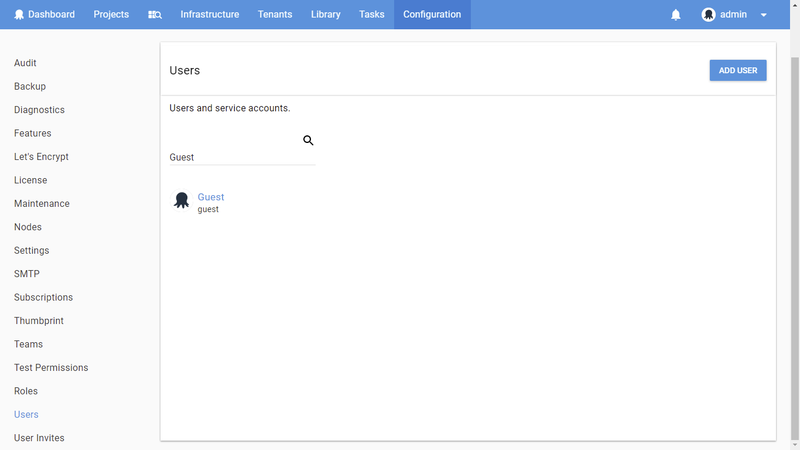 Octopus provides the ability to configure a special guest login for your Octopus Deploy Server. 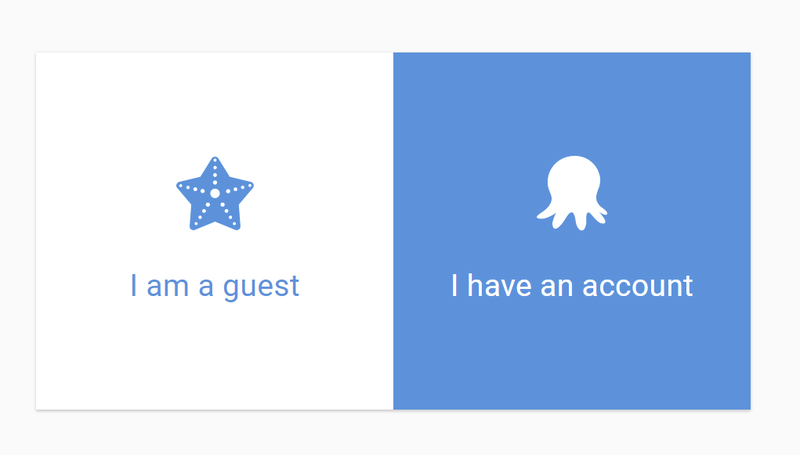 In Octopus 4.0 we added the ability to enable your guest account via the UI. 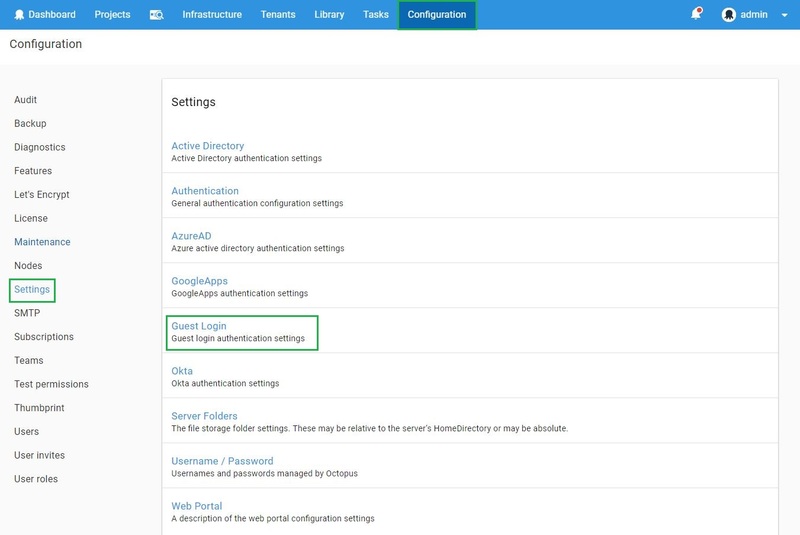 The option can be found under Configuration -> Settings -> Guest Login. From there you can select the Is Enabled button the active the the Guest account. The guest account will now be activated and added to your Octopus Users. As with any standard user, you can assign the guest account to different teams to give them permissions to view projects or environments. The guest user is designed to be used by multiple people, so it has one additional limitation that other users do not have: the account is completely read-only, despite any roles it might be granted. 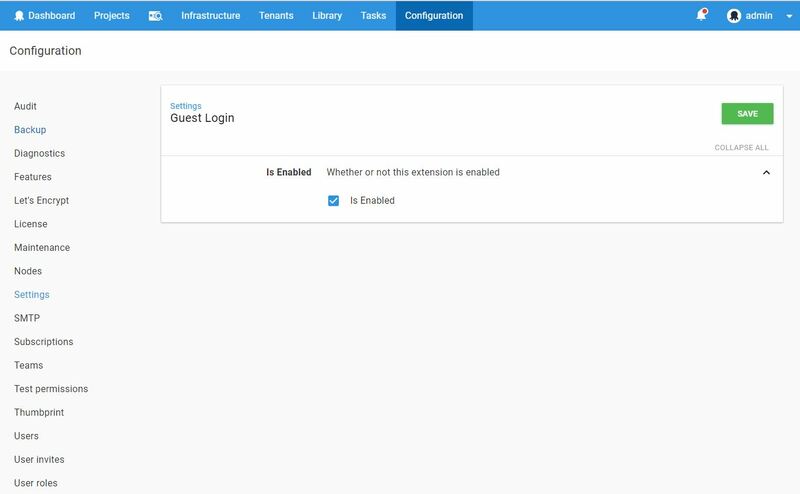 Please note, if you do add the guest user to your Octopus Administrators team, they will be able to view all settings and configuration. This includes viewing the license key, viewing the private keys for any uploaded certificates and potentially other information you don't want readable. Depending on your use case, you may want to create a custom role instead.